Every year, Margo Davis of Rock Cave preserves a cellar full of vegetables, fruits, and meats. “Most of our great-grandmas knew how to do it all,” she said. 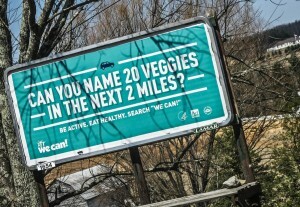 Want to get people in your community canning again? 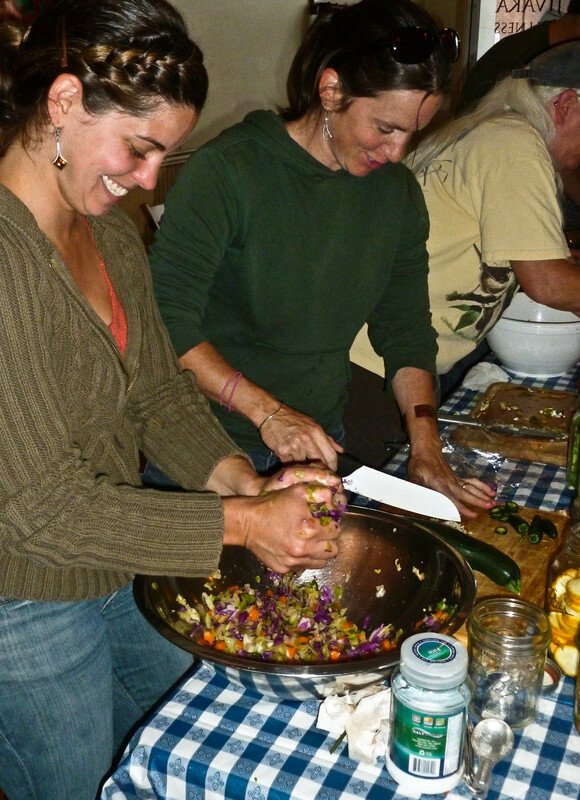 Hold workshops: WVU Extension Service nutrition outreach instructors often offer classes that help people learn how to preserve food in a variety of ways. Or they can supply materials that help you start your own. Contact your county Extension office to brainstorm a plan. Start your own classes. 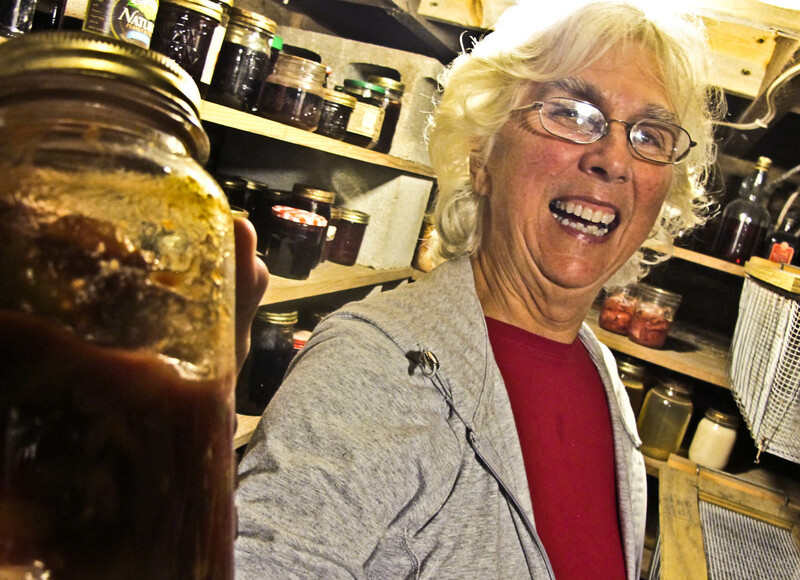 A local volunteer might be willing to set up food preservation classes free or for a fee. Hold them at places where people gather: churches, schools, food pantry. Venison processing sessions are popular. WVU Extension offers extensive materials on venison processing that could help you start your own class. 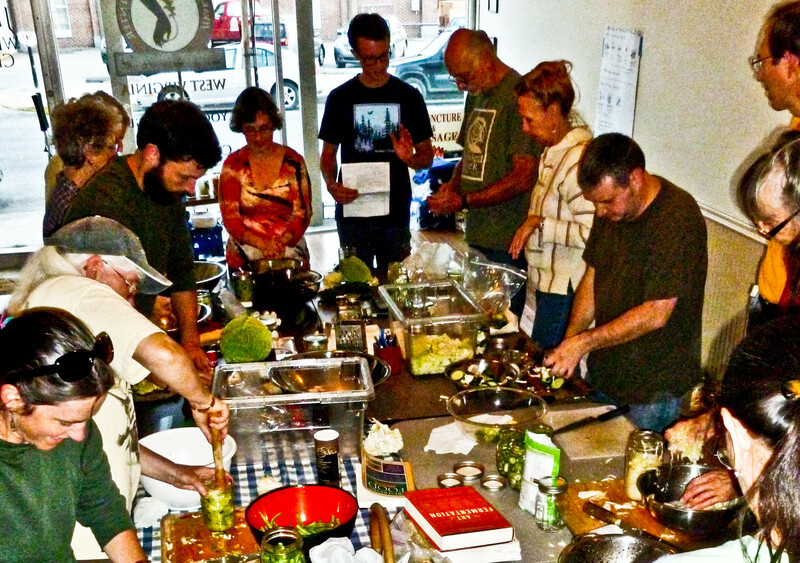 In the fall, Extension offers a Venison 101 meat preservation class. Contact your extension agent or Litha.sivanandan@mail.wvu.edu. 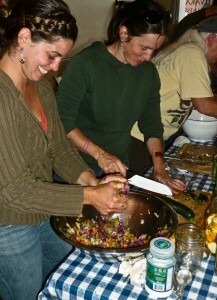 Create a community canning kitchen. All that’s necessary is a good-sized kitchen and canning equipment. 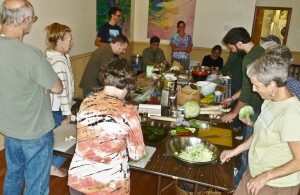 Classes can be offered or the kitchen can be offered to those who know how to can on a sign-up basis. Combine food preservation classes with a community garden program. Help people grow food, then help them preserve it. Plan a complete program with your WVU Extension agent. See the community garden page. Add a community hightunnel greenhouse! Basically a community garden that can be used year-round. See the high-tunnel greenhouse page. Good YouTube canning videos. For those who learn by seeing. Here’s a good one: https://www.youtube.com/watch?v=dbNNitnMuww. 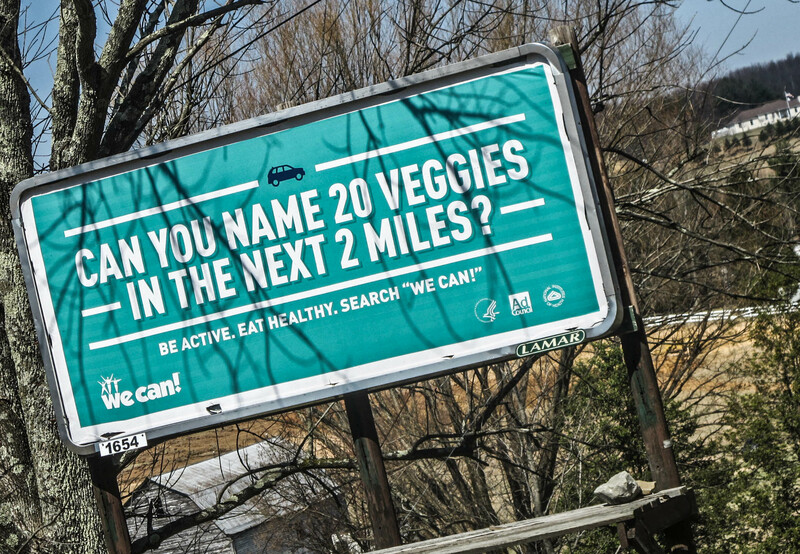 Or type “How to can food Youtube” into a search engine. You’ll find lots of choices.